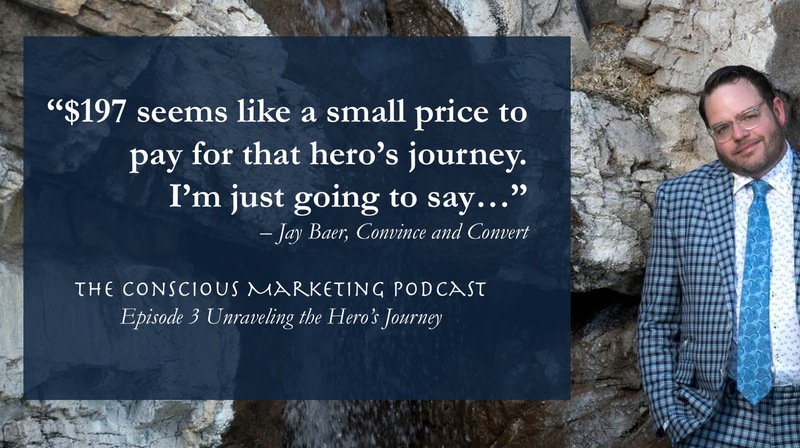 Episode 2.3 of the Conscious Marketing podcast features the incredible Jay Baer, who joined Nichole Kelly and I to Unravel the Hero’s Journey. Specifically, we debated whether or not marketers are helping or hurting society? The podcast unravels the way marketers tell stories and how it impacts society. 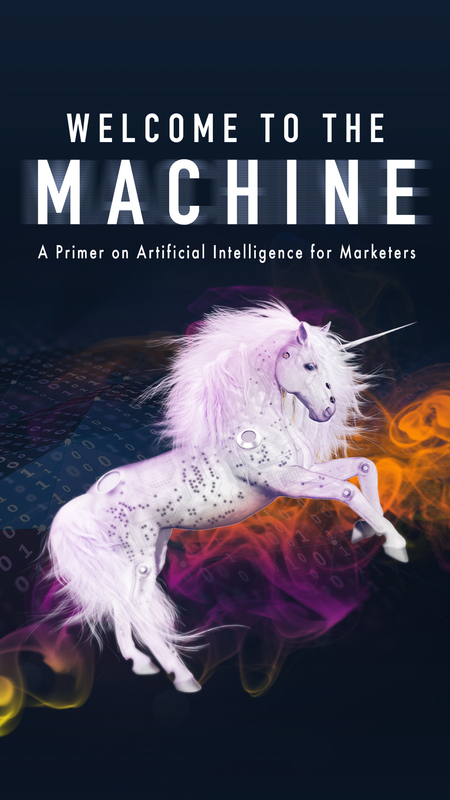 The three of us take a deep look in the mirror and discuss the truth about how marketers tell stories. Jay pulls no punches as he dives deep into the content marketing strategies we’ve been deploying since the beginning of advertising. 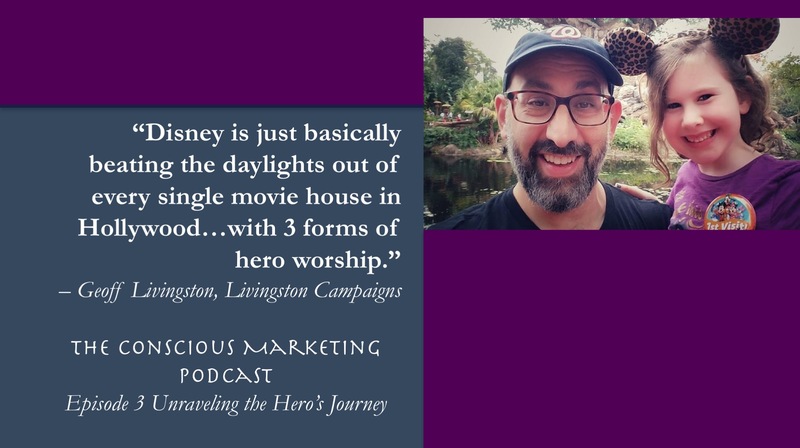 We review the different versions of the hero’s journey and then reflect on how marketers can create stories that inspire and empower humanity. 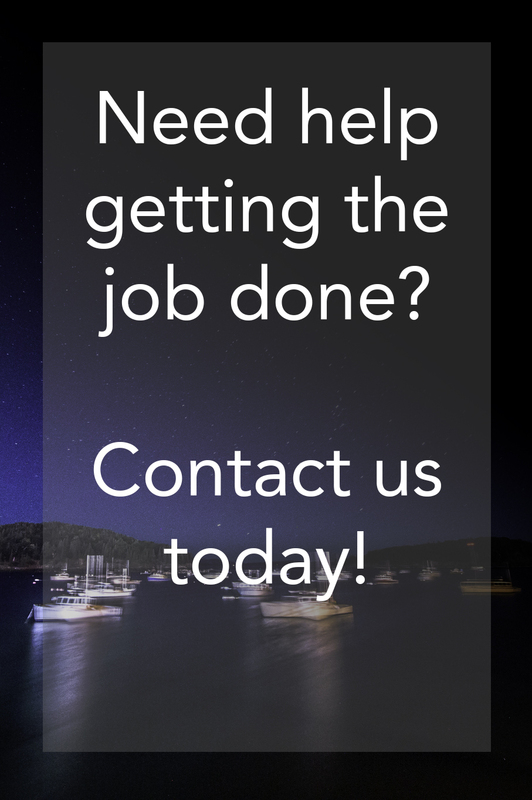 See the full show notes on the Conscious Marketing Podcast page here. 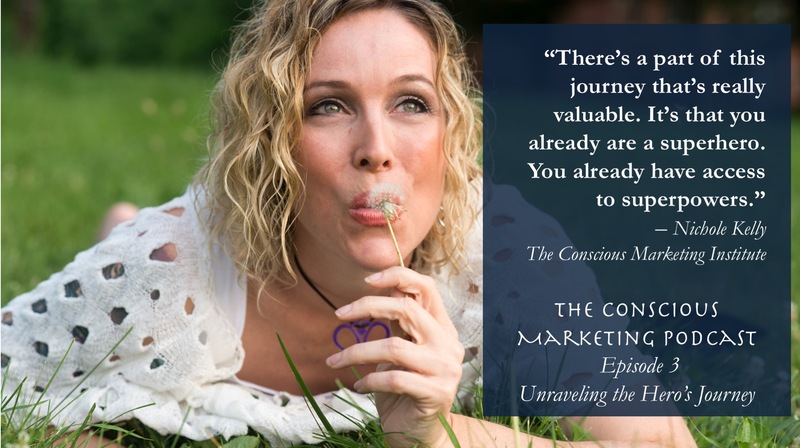 The Conscious Marketing Podcast is available on iTunes.